This past weekend, hundreds of folks flocked to Spicewood Vineyards for its 10th Annual ‘Pair It with the Claret’ chili contest. Chili connoisseurs were tasked with the delicious job of figuring out which homemade chili best paired with Claret. For Lake Travis residents, this event is practically right in your backyard. That’s because you have access to one of the top wine regions in the country. In fact, the Texas Hill Country is the largest AVA (American Viticulture Area) in Texas, which means it’s a designated wine grape-growing region distinguished by its geographic features. To celebrate our local wineries and vineyards, we’re taking a look at fun facts about the Texas wine region nestled in the Texas Hill Country, which happens to be a hop, skip and jump away. So, cheers! In August 2017, we shared the exciting news that Lakeway would have a new beer garden — Hops & Thyme — located in Lakeway Town Center II at 2125 Lohman’s Crossing Road. Well, the time for celebrating is here. Cheers to craft beer, Lake Travis! The weather is chilly, football playoff games are over and we’re not roasting in the heat quite yet — it’s the perfect season for hamburgers! If you’ve been enjoying a life of kale and spinach salad since the clock struck midnight on December 31st, perhaps you’re in the mood for a Texas-sized burger? If so, we’ve got lots of mouth-watering options to share. And the best part is you can find them all right here in the Lake Travis area. 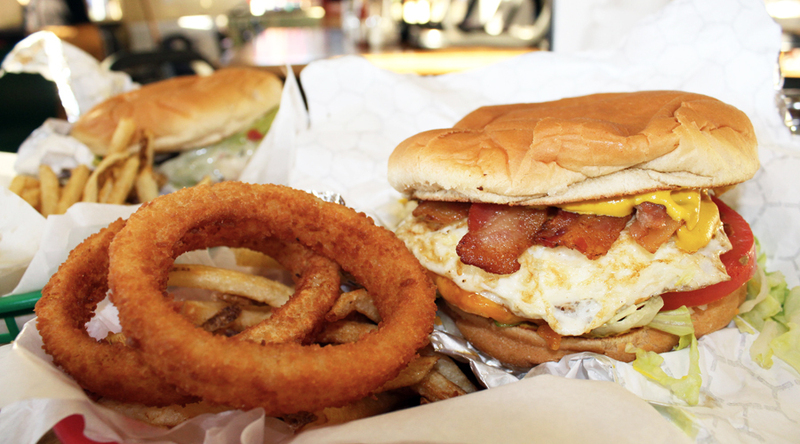 In your opinion, what makes a burger great? The quality of the beef? The freshness of the veggies? The preparation of the bun? The ambiance that surrounds you when you take that first hot and juicy bite? There are lots of national days dedicated to random stuff, but this is a celebration you can really embrace. That’s right friends, tomorrow is dedicated to those oh-so-tasty beans that are truly the best part of waking up. In honor of this glorious cup of caffeinated splendor, we’re doing a quick roundup to let you know where can you celebrate with coffee freebies in the Lake Travis area and beyond. As we head into the early parts of another Texas summer, there really isn’t a better time to get out of the house and drive to the nearest ice cream shop. After jetting from your car into the store, enjoy a satisfying cooling off for your taste buds. It’s even better when your dessert does some good and gives back to the community. Welcome to Vicecreme, the socially conscious vegan ice cream joint that recently opened at The Oasis on Lake Travis.